This traditional potli with a cirular base is made of purple dupion raw silk and gold tissue cloth with multicolored paisely design brocade lace at the bottom. It comes with a handle for easy carrying. 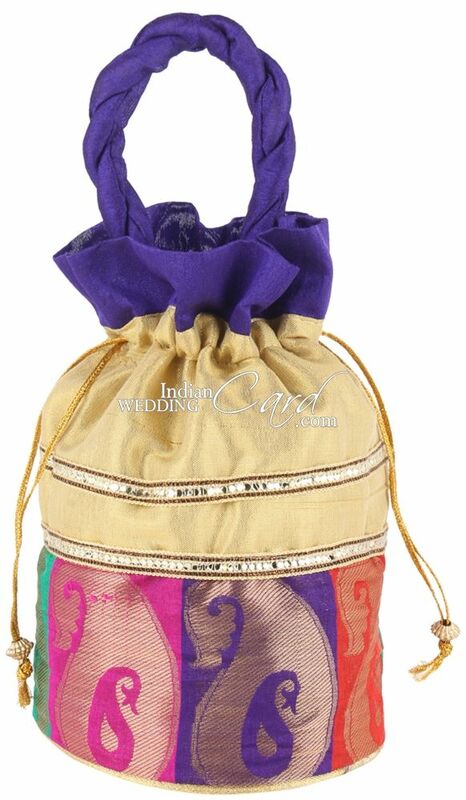 It can also be used in festivals and marriages for keeping dry fruits and other gift items.